The growing popularity of one-page sites has turned them into quite a contention in the field of website building niche. They are undeniably a good way for a striking online representation letting owners fulfill their visitors’ arising needs although such websites are not for everyone. They will not work for large businesses involved in various niches at the same time. One-page websites are the best bet for small businesses looking for a chance to represent their content in a linear manner. They serve to narrow down customers’ choice keeping them focused on a specific service, product or piece of content you need. If properly structured and professionally designed, one-page websites might result in an even higher conversion rate if compared to multi-page projects. Creating a solid website today is hardly a challenge considering the range of website builders that do not require special skills or technical knowledge. We have conducted a list of top platforms that will certainly meet your one-page site building needs. Having a website builder to create a single-page site from scratch is a fast and cost-effective solution. You may have a ready-to-use project published and running at no time. Modern software is not only innovative and technologically advanced but also affordable with some platforms offering free plans and cheap entry packages, which is enough for a one-page site. Mobile-Friendly Website – one-page sites are mainly focused around mobile users. Website builders let you come up with a project that will run smoothly on various types of mobile devices. Trendy Web Design – you do not need to hire a professional web designer. Simply choose from a list of ready-made templates with all plugins, add-ons, blocks and sections you might need. Ease of Use – no coding skills are required. You only need to insert relevant info, upload several images, and indicate your contact information. Then you only need to press the button and go online with your new website. Contemporary web building software ensures great operation, fast loading, SEO-friendliness, and other vital factors. The only thing is left is to define the bets website builder for one-page websites. 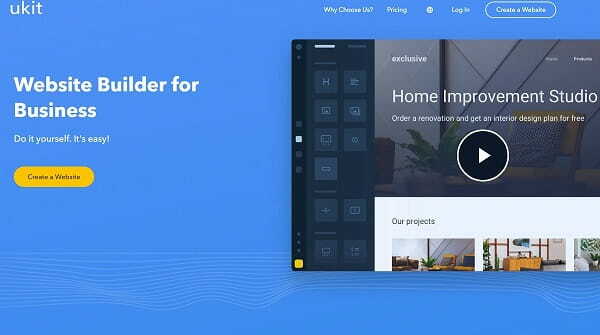 Wix – is the best one page website builder with all necessary tools in the pack to go online with a solid single page site. The system makes it easy to build outstanding core elements without special coding or web designing skills. You can create an originally looking one-page site within a couple of hours thanks to a simple drag-and-drop editor, ready-to-use adaptive templates, AI-powered technologies, and other great features to make the building process faster and simpler. The platform is ideal not only for bloggers but also for entrepreneurs involved in various small business fields. No in-depth programming is required as well as huge web-building costs. The platform has a free plan in addition to its affordable paid packages if you crave for more flexibility. Ready-to-Use One-Page Templates – Wix has a ready-made layout for this particular type of sites. The template comes with all blocks and sections you might need including the “About US” section, service description, portfolio block, contact and address sections, anchor links, etc. You only need to feel in the actual data and publish the mobile-friendly website. Ease-of-Use – if you do not like a custom layout, you are free to customize it. A simple drag-and-drop editor makes it easy to replace blocks or change their position. You may add all necessary media files or text almost seamlessly. Logo Maker – create your own logo, which is the first thing your visitors see or opt for Wix logo maker instrument that will design several samples based on your website info. Simply answer several easy questions and get your ready-to-use exclusive logo. Wix ADI – this tool is for those who do not want to get involved in the building process. Advanced AI-based technologies will use the info provided by the users as well as their business niche to offer a ready-made website layout. Visitors Engaging Tools – Wix offers additional instruments to ensure better visitors’ engagement. Add parallax effect to make the scrolling experience more dynamic or opt for F or Z-shaped website layouts that support natural scanning behavior. All-In-One Solution – you get everything you need in a single package including hosting, domain name, free templates, access to Wix App Market, and other features. Cost: if Wix free plan is not enough to fulfill your website needs, combo plan looks like a real bargain considering the price of $4.50 per month. Or you can opt for $8.50 per month to link your own domain name and benefit form adds-free templates. uKit – is the most affordable one-page website builder among other platforms. Despite low prices, the system makes it pretty simple to come up with your one-page site from scratch. You will hardly find an easier-to-use platform with hundreds of responsive template designs for different business fields. Users can choose from 38 categories and pick a layout with a pack of promotional instruments, grid-based structure, SEO settings, and other capabilities. Building a website with uKit is very fast and cheap. It is probably one of the most affordable offers on the web. At the same time, you can benefit from a range of features, apps, and add-ons for your future website as well as some technological advances like uKit ALT. Mobile-Ready Templates – uKit delivers over 4000 different templates from more than 38 categories. You will certainly find the one that meets your business needs. All mobile and retina-ready templates run equally well on various devices despite the carrier or screen sizes. They are compatible with all major browsers and optimized for better online performance. Website Preview Feature – the system makes it easy to preview and edit your future website in various mobile modes depending on the device type. Check the way your site will run on a tablet, desktop or smartphone by clicking a particular icon in your dashboard. SEO Settings – uKit reserves some space for your website promotion. Simply go to the SEO settings section and fine-tune your meta title and description. Here you can indicate the focus keyword and edit the website preview in social media and search results. Advanced uKit ALT Feature – a great tool to convert an existing Facebook page into a ready-t-use single page website. You do not need to transfer content and info. The system will do it automatically dividing the content into specific categories and section by type. Customization Functionality – apart from baseline options, uKit appears to be a flexible platform thanks to widgets and add-ons you can add to your site. Third-party integration is available for all platform’s templates. Cost: uKit looks like a bargain considering its prices. You get a domain, hosting, and ready-to-publish website for only $4 per month (the starting plan). Users should not count on a free package though it still offers a 14-day trial. The premium plan will cost you only $12 per month. WordPress is the most flexible open-source CMS platform that lets site owners implement any design idea and get as creative with the website as possible. It was initially developed as a powerful online blogging tool. However, the CMS platform has evolved over the years turning into a multipurpose website building instrument with thousands of themes, features, plugins, and other things that will certainly do the trick when creating a professional single page site. Quality One-Page Themes – you can come across thousands of one-page site layouts for WordPress. They include both free and paid layouts. As a rule, free themes are mostly alike looking while premium templates look more professional and unique. However, if you have at least basic coding knowledge, you will hardly have difficulties in creating a unique design from a free website template. Endless Designing Capabilities – WordPress makes it simple to create a one-page design that is appropriate to your target audience. You can benefit from ready-made layouts with clear navigation and all necessary blocks in one or edit the template code to add elements or features you need. You can change the theme drastically by accessing websites CSS/HTML. Enhanced Flexibility – WordPress offers multiple ways to integrate various third-party services for users’ acquisition and interaction with the target audience. Link analytic tools to track the most effective traffic channels, use email marketing services to drive more potential users, integrate SEO plugins to create content that will be loved by search engines. Cost: building a website with WordPress will cost you nothing unless you decide to use a premium template or integrate paid plugins. On the other hand, you are the one to take care of the hosting solution for your website as well as complete the domain registration process. Both procedures require extra costs. Opting for advanced server solutions like Bluehost can be a good way out. You get everything you need in a single package for $2.95 per month for a WordPress optimized server solution. Ucraft – is the best bet whenever you want to bring your most create one-page design ideas to life without technical skills. If you want to create a one-page site that will result in a high conversion rate, simplicity is the key to success. This is where Ucraft may come in handy. A simple instrument lets you build professional and engaging single page websites with ease. Users will appreciate free page building tools and instant ways to get your web project online. Here you get everything necessary from a custom Logo maker to Landing Page Builder and more. 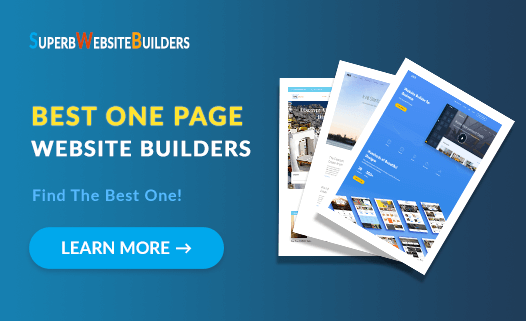 Free Landing Page Builder – Build a professionally looking landing page without spending a penny. Ucraft has its custom instrument to show off your product or service online effortlessly. All you need is to sing in, pick from a range of templates, ad content and publish a ready-to-use website with a custom Ucraft domain. One-Page Site Templates – browse through dozens of ready-made and mobile-friendly templates from more than 11 different categories. Here you may find various business niches ranging from healthcare and events to sports, eating out and layouts for non-profit organizations. Free Logo Maker – another great instrument to stand out from competitors and make your new site as recognizable as possible. Apart from the brand’s logo, users can design their own icons to add some style to the Service of Benefits section. Page Customization Tools –if you do not feel like using a custom template design, you are free to create a style of your own with the help of Ucraft Designer Instruments. Use them to change fonts and colors, text sizes and styles, create personalized headlines and website blocks, etc. Cost: a free plan is a good solution for those who want to save a couple of bucks and create a free one-page site with own custom domain. However, it will be published with several limitations to content editing. If you want to open access to all of options, you will have to buy Pro Website plan. It is available with a 14-day trial to check if everything works right for you. BookmarkBookmark – is probably the simplest one-page website builder designed to help newbies and non-technicians. 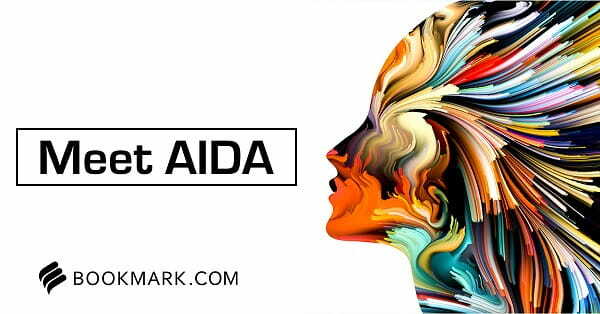 The platform uses Artificial Intelligence Design Assistant or AiDA for short to encourage users for building professionally looking websites without special skills. The platform has proved to be good for small business owners and entrepreneurs, which brings us to the conclusion it is also good for one-page sites as well. Newbies may create a brand new website in 30 seconds skipping the process of content editing and page designing. Ease of Use – a good thing about Bookmark is that you do not even need to use a content editor. The platform consists of ready-made blocks and sections. Create a page structure by adding the block you need and insert necessary text. That’s it! Promotion Tools – Bookmark has its custom Focus Feature to promote various business or corporate events and share them with the target audience. A good feature for those who run seminars or workshops. Cost: Building a one-page website with Bookmark is free. The starting entry will not cost you a dime. It delivers 500GB of storage and 1 GB of bandwidth. It is more than enough for a single-page site. If you crave for a more flexible package with your own domain, get ready to pay to start from $11 per month for a Pro Plan. Linear Structure – One-page site does not have plenty of sections. It is supposed to have a straightforward structure, which is the main advantage of such websites. A linear structure will guide your potential visitors from the beginning to an end driving the available info to the conclusion of CTA block. CTA Blocks – this section is the first “touch” element on your website while all the rest info mainly deals with “feeling” senses. In other words, a prominent CTA block is the tool to encourage visitors on purchasing, subscribing or doing other actions on the website. Proper Product/Service Description – a one-page website will not let you dive deep into details about the service or product you deliver. Your main goal is to highlight the core advantages and benefits for the users. The idea is to show how actually your services or products may solve consumers’ problems. Contact Info – it is no just about indicating the way to get in touch. Make sure the block is clear and easy to reach. Make it easy for the customers to contact you. It will increase the level of credibility. Simply putting all mentioned elements to the page would not work. You need to make sure each and every section is outstanding. This is where best one-page website builders may come in handy. A typically simple drag-n-drop feature looks rather complicated here. In addition, nothing you do is saved automatically. You need to confirm your each and every step. That can be annoying. A few specialized one-page website builders have a mobile preview option. It looks strange considering the fact that one-page websites are more mobile-oriented. The user interface is too complicated. While website builders like Ontraport let you create actually any metrics you need, the dashboards are hardly as appealing as you can expect. Moreover, you are very unlikely to need it once you want to build a simple digital business card or portfolio. Most specialized one-page web building platforms suffer from a lack of customer support. It exists in the paper. But when it comes to real issues, they often fail to provide a professional assistance. Hardly a good news for newbies. The prices are rather high if compared with platforms from our review above. Basic plans rarely cost less than $70 while pro plans can be up to $300 per month. Hardly looks like a bargain, right? Instapage (read review) – https://instapage.com/. Building a one-page website has become easier than ever before. Artificial Intelligence and other advanced technological instruments have turned the process of site creation into a one-minute-task even for non-technicians. Most platforms look pretty affordable or offer free opportunities to go online. Wix is a popular system with lots of great features, free entry plan, and other technical capabilities to come up with a solid single page website. It offers plenty of customization features in addition to some crucial instruments like Logo Maker. uKit is probably one of the simplest website builders with tons of professionally looking templates. It has an award-winning mobile preview mode, which is very important considering the fact that one-page sites are focused mainly on mobile users. 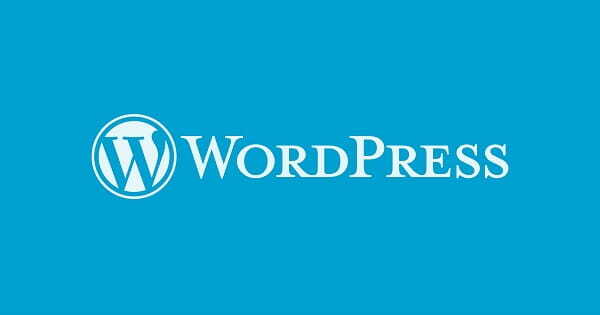 WordPress is a powerful blogging tool that might work just fine for your one-page site needs. It is hardly the best option for newbies considering its complexity right from the start. However, if combined with a proper hosting solution like Bluehost, it will turn into a powerful website building instrument. Ucraft is one of the best website builders to meet your single site requirements. Users will appreciate a bunch of tools ranging from custom logo maker and free templates to enhanced web designing tools and landing page builder. You can get them all for free. Bookmark is the next-gen website builder based on its custom AI solution. AiDA assistant will handle the entire building process from scratch. All you need is to add relevant info on your ready website. Single page sites may let you generate even higher revenues if properly structured. The key to success is to keep all sections clear, informative, and easy to navigate. Make sure your website is mobile-friendly to reach a wider target audience and follows the latest web design trends. Looks like a challenging task? Leave to website builders.